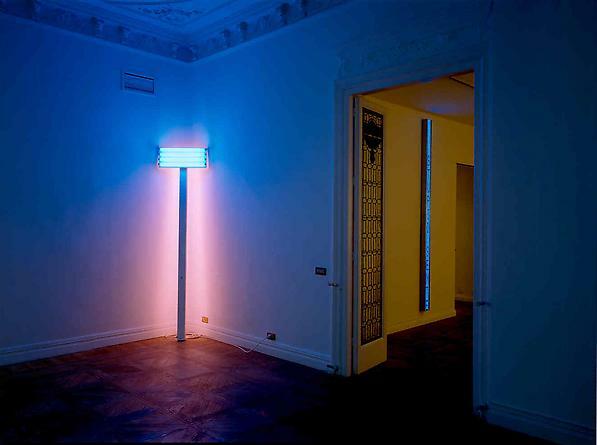 Galería Javier López is pleased to present for the first time in Madrid an installation by American artist JENNY HOLZER (1950, Gallipolis, Ohio) next to a piece by DAN FLAVIN (1933 - 1996, New York). In this way, the show becomes a homage to this latter one. The exhibition coincides with the celebration of the contemporary art fait ARCO’04 in Madrid. 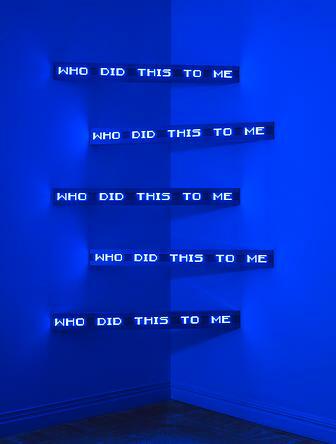 Jenny Holzer soon stood out in the North American avant-garde art scene of the 80s. In 1975, whilst studying her master’s degree, the artist developed an interest in the use of language, installations and public art. Her main focus was to relate her art to the urban space. In her search for a more direct way to spread words or ideas she began to use the structures of the mass media to reach the public at large. Her use of mass media outlets range from billboards to placards to signs or electronic advertising banners and television commercials. She finally adopted electronic LED (light emitting diodes) signs, which reproduce her texts in loops and for which she is best known today. Galería Javier López has chosen to present a sample of this work.